We like to give the moon credit for all kinds of weird things, from werewolves and hockey fights to the ocean’s shifting tides (though only the latter is true). And now the Moon can add a new accomplishment to its resume: messing with our rainfall. A paper published last week in Geophysical Research Letters shows that the position of the Moon slightly affects the amount of rain we get here on Earth. The Sun, the Moon, and the Earth are all constantly in motion, both orbiting and revolving. Each of these bodies has its own gravitational field, and we are affected by all of them. The Sun’s gravity is what keeps us on track in our path around the solar system. But the Moon, being so very tiny by comparison, can’t do anything quite that big. Instead, when the Moon is high in the sky, its gravitational field just kind of tugs on our planet. This tug is not enough to move Earth out of its path, but it is enough to give us what amounts to a little squeeze. The part of the planet directly under the Moon bulges a little bit, swelling upward. When this happens over the ocean, we call it high tide. The same gravitational pull is responsible for changes in Earth’s rainfall, says study co-author Tsubasa Kohyama. While researching changes in atmospheric pressure, Kohyama noticed a strange, consistent pattern. Since the 1800s, scientists have been suggesting that the Moon’s place in the sky can impact air pressure on Earth. After analyzing 15 years of rainfall data collected by NASA and the Japan Aerospace Exploration Agency's Tropical Rainfall Measuring Mission satellite, Kohyama and his co-author John Wallace were able to confirm that those air pressure changes translate to changes in rainfall. “When the Moon is overhead or underfoot, the air pressure is higher," Kohyama said in a press statement. It goes back to that bulge. The wedge of Earth underneath the Moon at any given moment also includes the atmosphere above it, and under high gravitational pressure, that atmosphere swells, too. High pressure raises the temperature of the swelling pocket of air, which then retains more moisture. But the same air parcels are now farther from their moisture capacity, the researchers said. 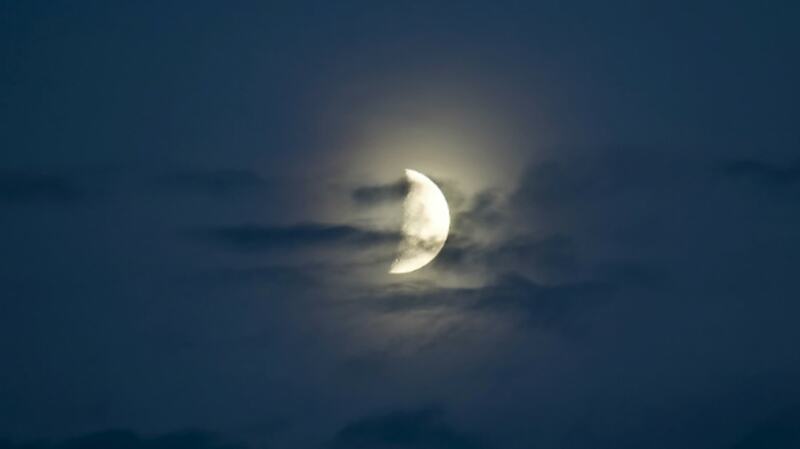 As a result, when the Moon is high, the rain is slightly lighter. When the moon is on the horizon, or rising, there's a little more rain. But the change is so small that you'll never notice it; the researchers estimated the lunar influence at about 1 percent. "No one should carry an umbrella just because the Moon is rising," Kohyama said. While these findings may not be of much use for the daily forecast, the authors hope their findings can help scientists fine-tune their climate models.